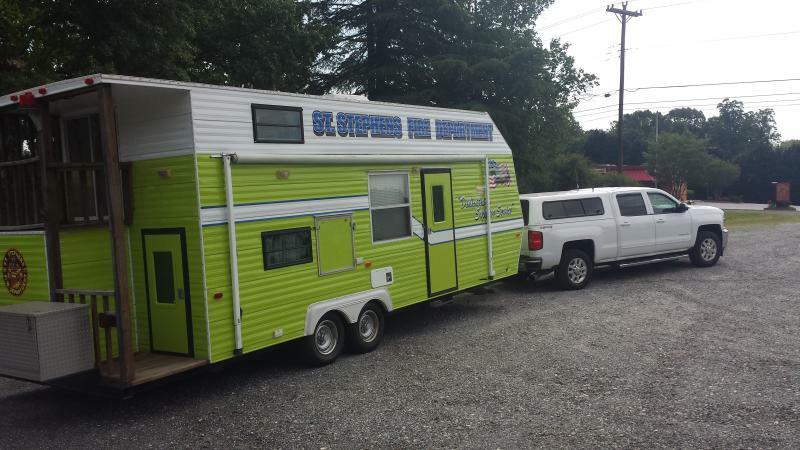 St. Stephens Fire Department has acquired a fire safety house to add to our fleet of equipment. 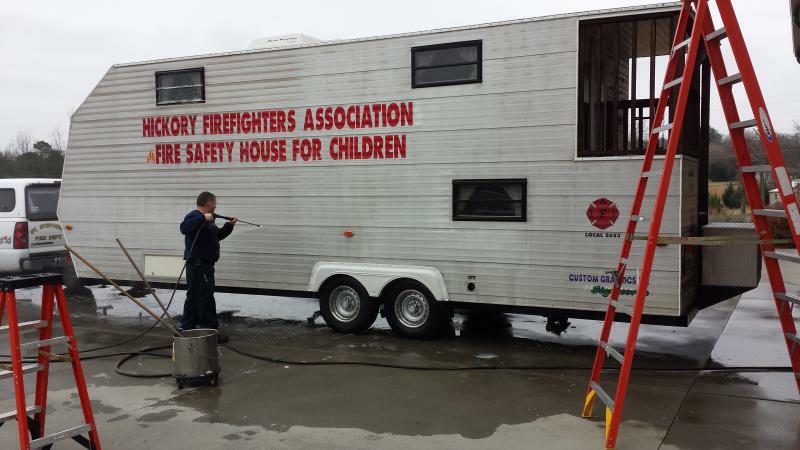 The fire safety house is a 1994, 28ft’, two story educational mobile trailer built by Surrey. 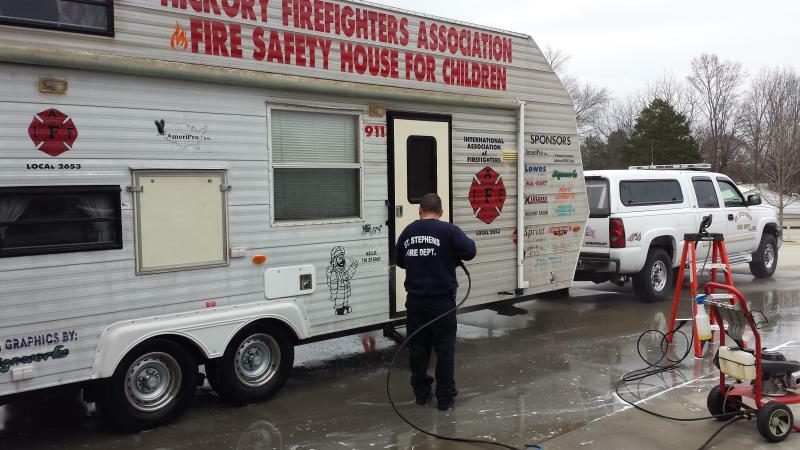 The safety house has been out of service for several years and has been sitting idle at an outside location. 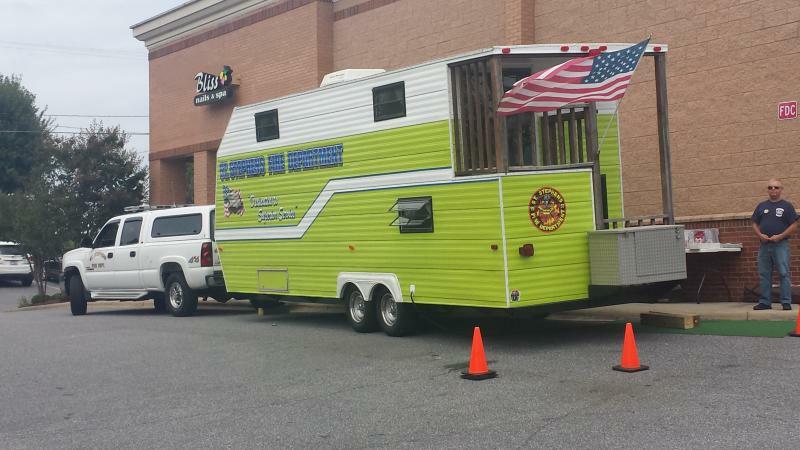 The unit was purchased by St. Stephens Fire Department to advance our level of fire safety and education. 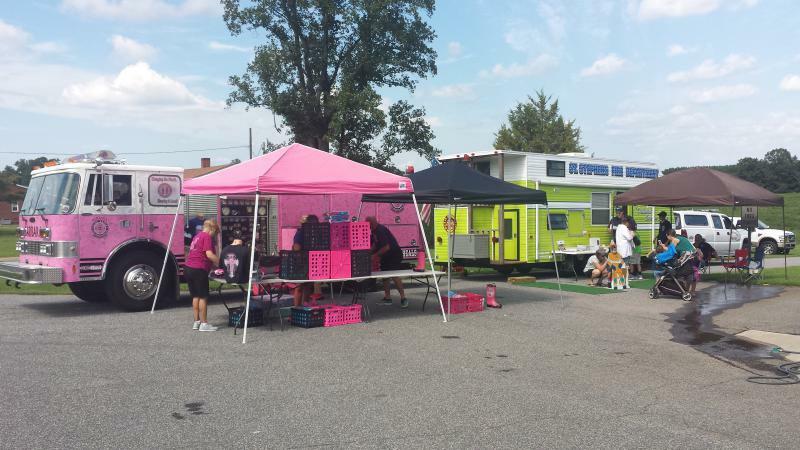 The command staff saw this project as a great opportunity to increase our public relations, and safety within our community and Catawba County. 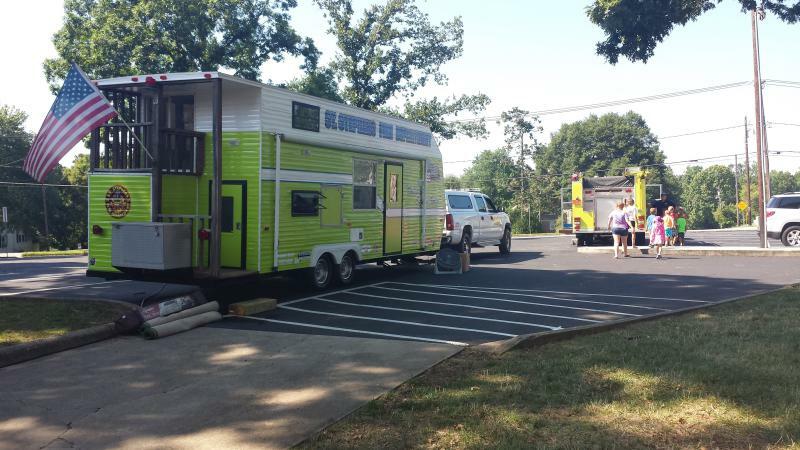 The fire safety house is a mobile educational tool that may be easily transported to any location for educational purposes and will accommodate children and adults when it comes to all aspects of fire education and safety. 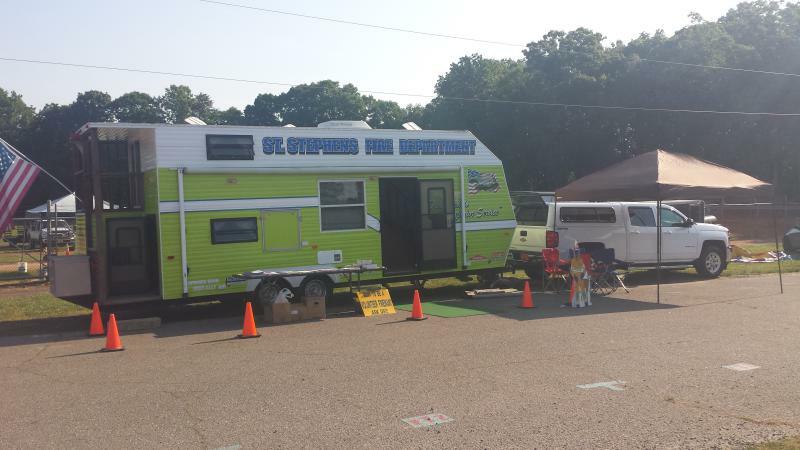 St. Stephens Fire Department provides emergency services including fire protection to a population of approx. 14,240 residents. Included in this number are four elementary schools, one middle school, and one high school. These numbers exclude the private schools, day cares and churches within our fire protection district. 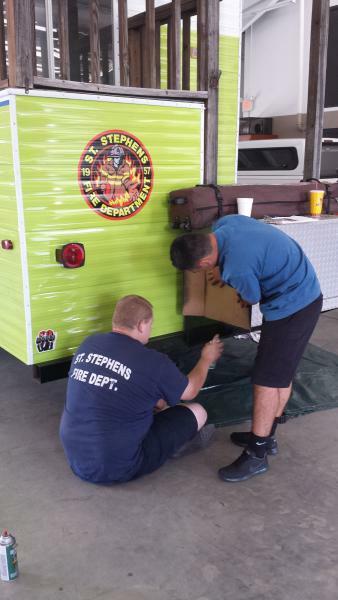 In the public school system alone, in St. Stephens Fire district, we have reported over 4,200 students. The past three years, St. Stephens Fire Department has documented serving 42 organizations and providing over 38 safety programs. 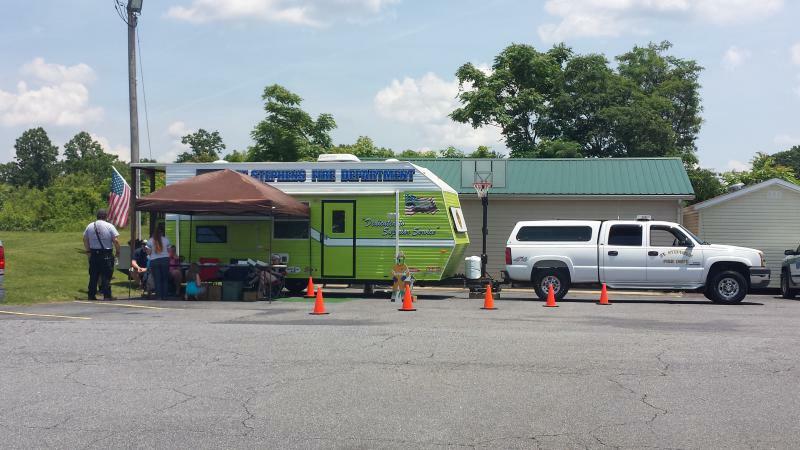 We have documented providing fire and safety education to over 1,800 youth and approximately 400 adults. The fire service in the United States has made great strides in identifying effective ways to reduce deaths, injuries, and property loss from fires. The fire service has recognized the need for a pro-active approach when it comes to fire and injury prevention education. However, since the 1980s the fire problem in the United States has remained virtually unchanged. The children, elderly, minority, and low income persons prove to be the highest percentage of those most impacted by fire. These individuals represent those who are least able to help themselves in a fire situation, or will have the most difficulty in re-establishing their lives in the wake of a fire situation. The latest fire death figures show that nearly 6,000 people die in residential fires in the United States annually, and 80% of all fire fatalities occur in the home. Many of these victims are children and elderly citizens. 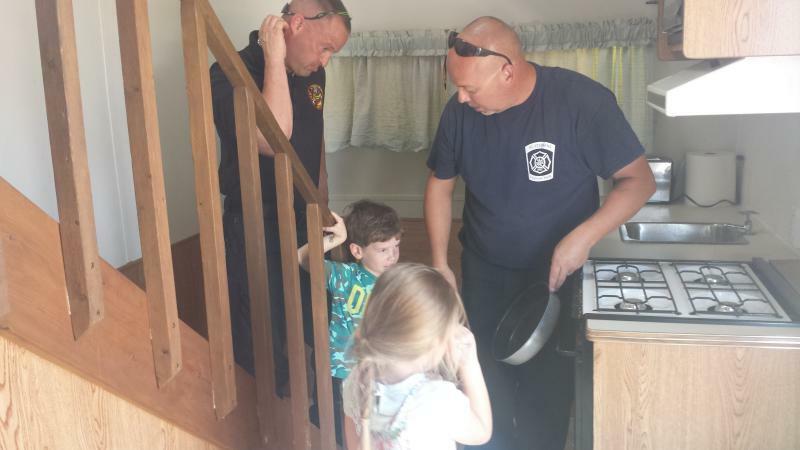 Children under six years of age make up about seven percent of the population, and they account for approximately 17% of all fire deaths. Today, fire safety and accident prevention efforts are more important than ever. It is our duty as fire personnel to provide essential life-saving programs to all members of our community. St. Stephens Fire Department is striving to make an effort to make safety a way of life for the children and all members of our community. The most effective way to cope with the fire death/injury situation is through education. 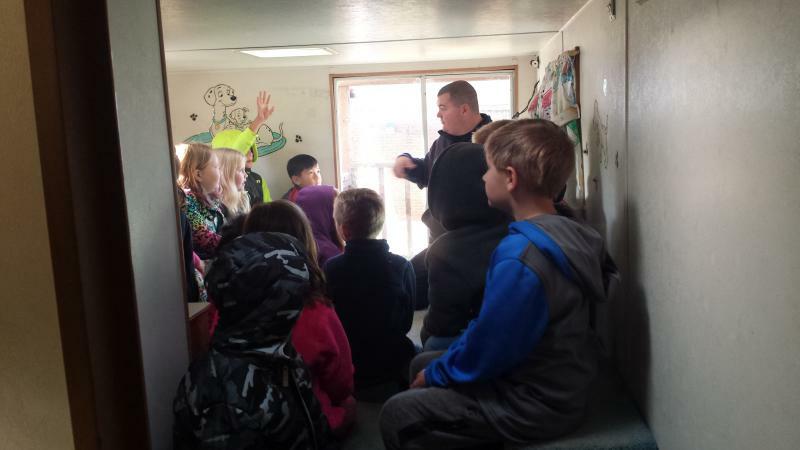 The use of current and consistent teaching methodologies, combined with state-of-the-art equipment such as the fire safety house, will assist us in meeting our fire prevention and public education goals. 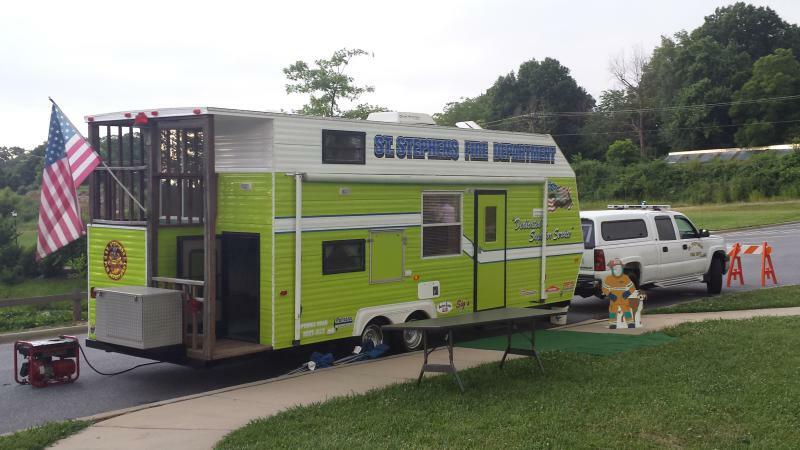 The mobile safety house will be used to educate the public, especially children. 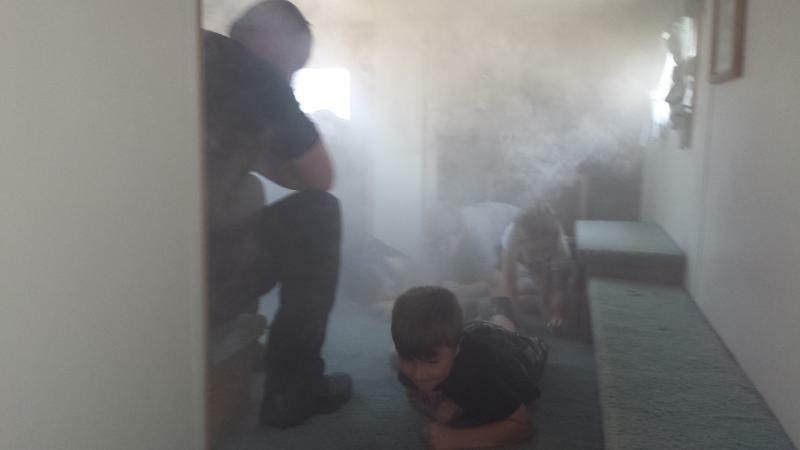 The two-level safety house will allow visitors a chance to experience a simulated fire like condition in a controlled home environment and simulate common household hazards that may be encountered in the average home. 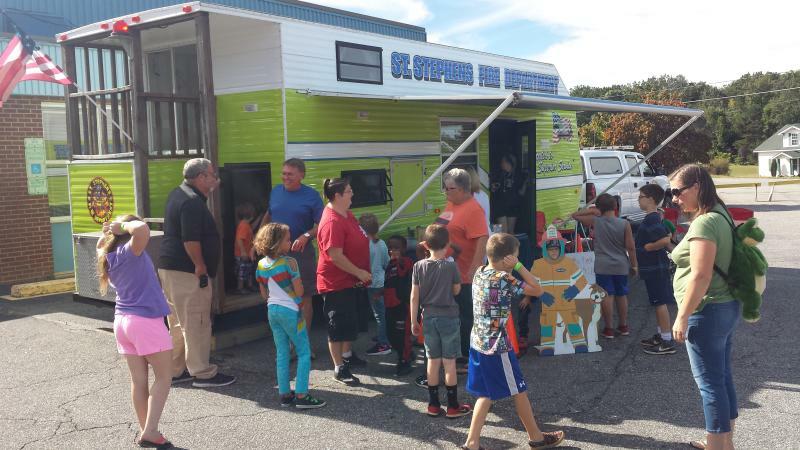 St. Stephens Fire Department plans to exhibit the safety house in conjunction with Fire Prevention Week as well as educational use at schools, community functions, business promotions, and on request for special functions. 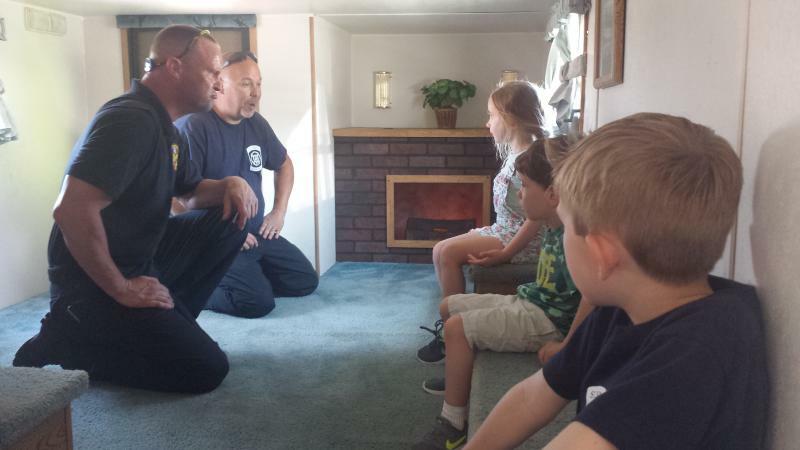 The safety house features a non-toxic smoke system, a heated bedroom door, a 911 emergency telephone system, a fully equipped kitchen, a living room with an electric fireplace, and a second-floor bedroom. 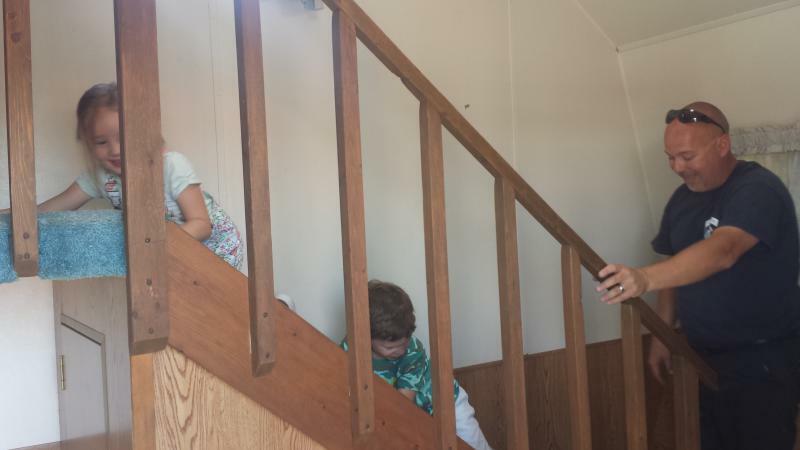 The safety house also includes fire safety devices such as smoke alarms, a fire extinguisher, and an emergency chain ladder for escape practice from a second story level. Each child that we reach will be taught a valuable realistic hands-on lesson that they will for sure remember. We believe that reaching out and providing education to children, that it will in turn encourage the child to educate others around them about fire safety such as parents, siblings, grandparents, etc. 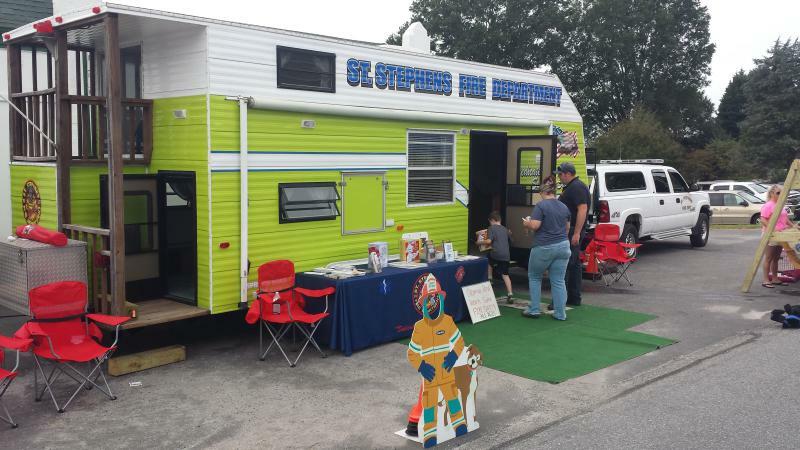 Requests for funds are underway as the staff of St. Stephens Fire Department is in the process of renovating the safety house for use in the community to reduce the risk of accidents and educate adults and children on fire safety and general household safety. Every year, preventable accidents/injuries kill almost one million children around the world. 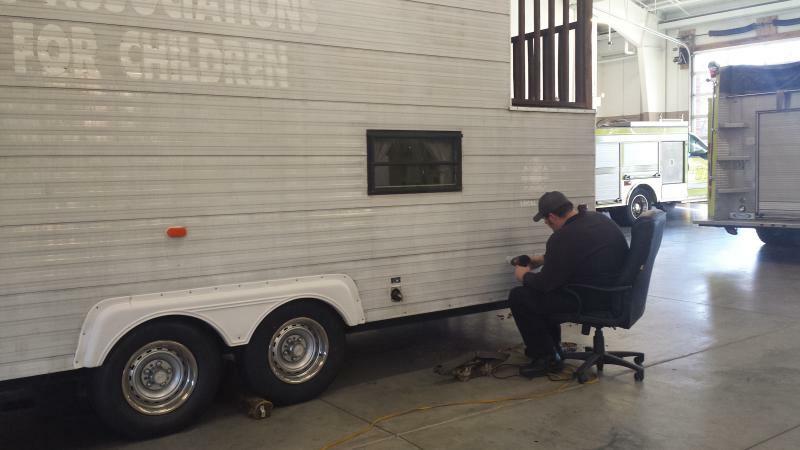 The estimated cost for renovations is approximately $10,000.00. This will also include painting and lettering the safety house. 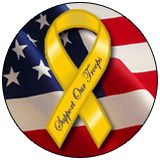 We are requesting your consideration in monetary assistance as we make this project come to life. A firefighter’s mission is to save lives, conserve property and help reduce the fire injuries and fire deaths across the country. We feel this unique educational tool will make this mission much easier as we educate the community in keeping themselves safe and reduce the risk of common household accidents. With your support, your organization can make this project a reality for the community and help save a life! Thank you for your consideration! 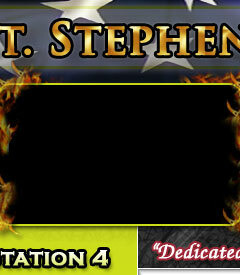 St. Stephens Fire Department is an incorporated 501C-3 organization. Your tax deductible donation is greatly appreciated and will be used to make our community members more aware of how to reduce injuries and death as it relates especially to fire incidents. 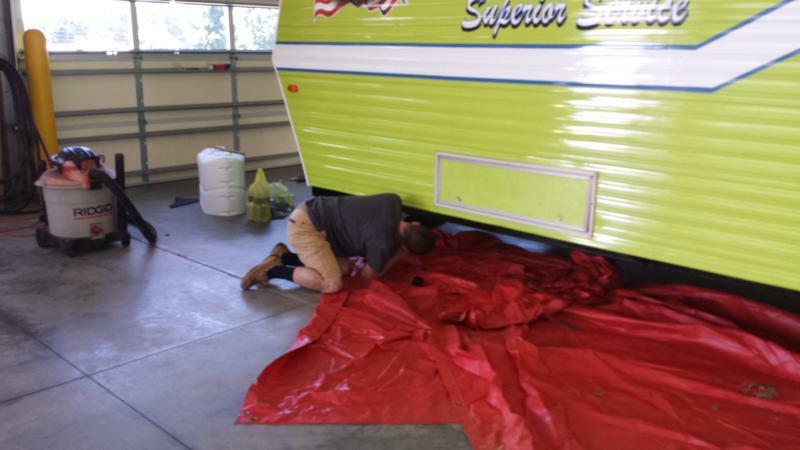 The fire safety house was put into service in May of 2017 but is still undergoing renovations. We are still in need of sponsorships to continue with this special project. 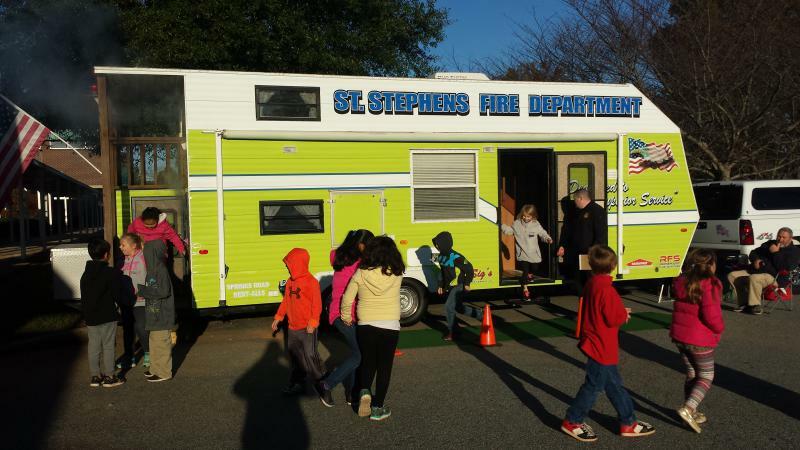 For the year of 2017, St. Stephens Fire Department displayed the fire safety house at 14 events, and educated a documented 2,285 youth and 286 adults. The education that has been provided has been on all types of fire and home safety such as crawling low under smoke, exit drills in the home, two ways out to escape fire and smoke, smoke alarms, kitchen safety, cooking safety, poison control, fire extinguishers, fire place safety, electrical hazards, 911 communications, and meeting places outside of the home. 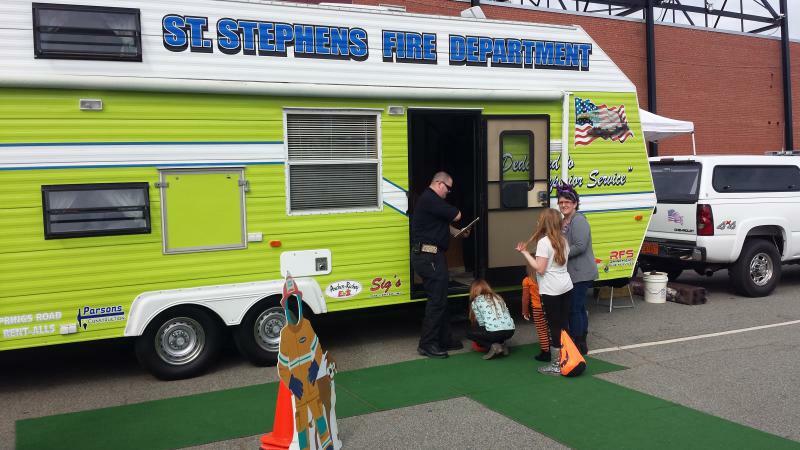 With anticipating additional sponsors, the members of St. Stephens Fire Department is looking forward to completing the project this year and making the fire safety house more available for the community and educating more children and adults. We would like to thank our sponsors so far that have made this project come to life and that continue to support the efforts made by St. Stephens Fire Department.